Zhang Leping(1910—1992), formerly Zhang Sheng, a Chinese contemporary cartoonist, is engaged in cartoon in all his life. 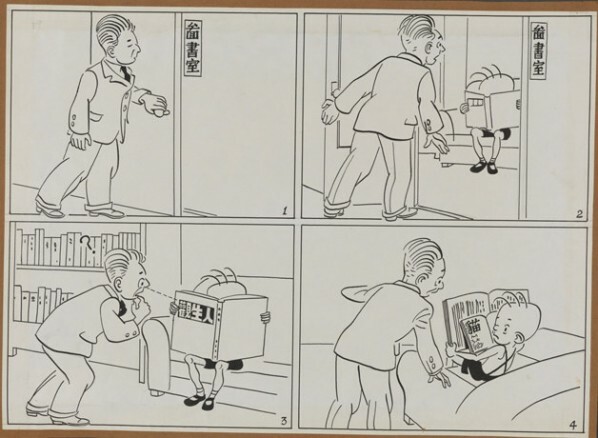 He joined in Anti-Japanese Cartoon Propaganda Team in 1937 and fought with brush till the end of Anti-Japanese War. 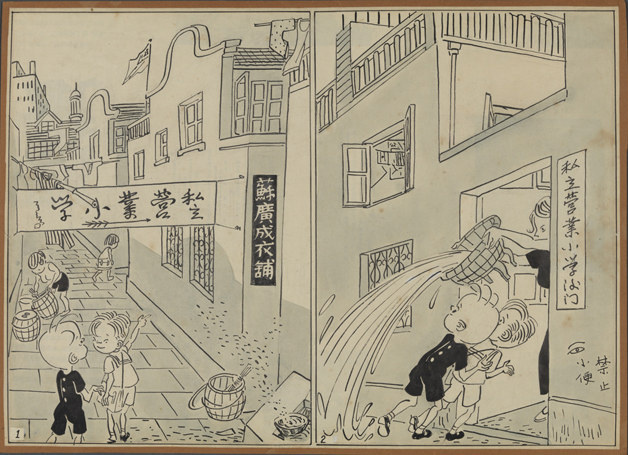 In 1946, Zhang Leping became one of the founders of Shanghai Artist Association and Shanghai Cartoonist Association. 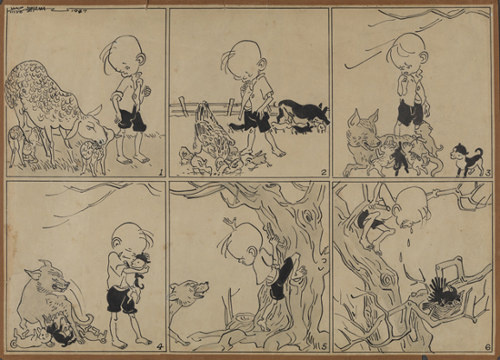 After 1949, he has once acted as full-time professional painter of Liberation Daily and Shanghai Children Press. Zhang Leping was also CPPCC member, member of China Federation of Literary and Art Circles, consultant of ChineseArtistsAssociation, vice-chairman of Shanghai Branch of ChineseArtistsAssociation, chief editor of Carton World. Zhang Leping has been hailed as “Father of Sanmao”. 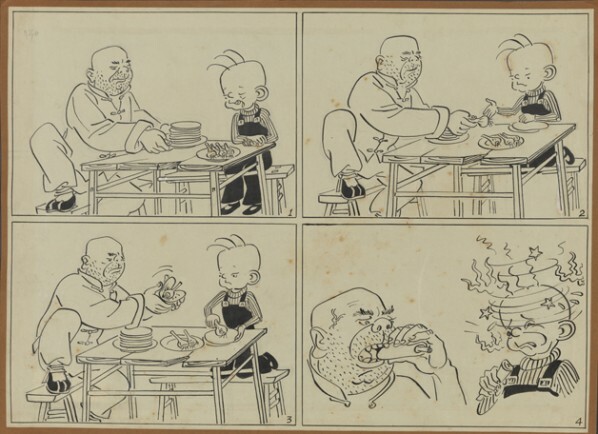 His first Sanmao cartoon was created in 1935 and the long strip cartoon Wanderings of Sanmao was completed after life accumulation during eight-year Anti-Japanese War. Wanderings of Sanmao had been published in instalments on Shanghai Takunpao from June 1947 to the end of 1948 and aroused strong repercussions among the readers. Over the years, Sanmao has accompanied grow-up of generations and become well-known to every household in China. In 1983, Zhang Leping donated all original cartoon Wanderings Of Sanmao, 234 sets(973 pieces) in total to the National Art Museum of China for permanent collection. To commemorate Mr.Zhang Leping, this exhibition displays some selected pieces from Wanderings of Sanmao and has Sanmao appear to the public again. Courtesy of the artist and the National Art Museum of China, for further information please visit www.namoc.org.